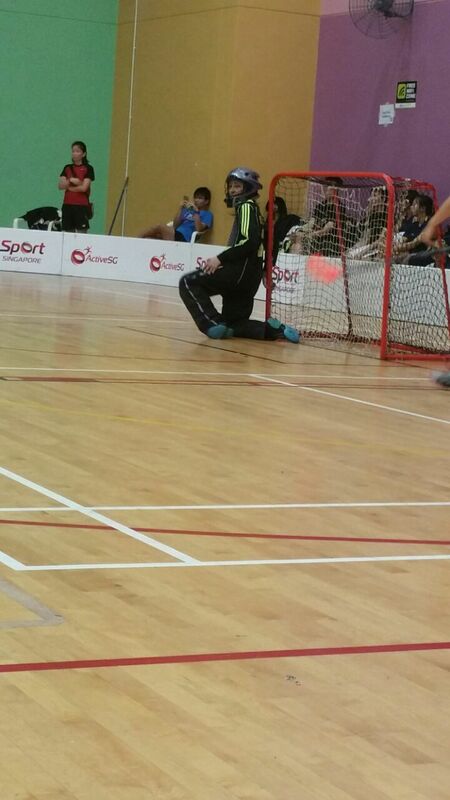 KBFF has had even more fun floorball action since the last update. The second quarter of the KB Kids TGIFloorball sessions commenced in April and will conclude with our 2nd Kids TGIFloorball Open during the June holidays. More details soon! A major highlight of the month and possibly the year! was the team’s trip to Manila to play a weekend of friendlies with the Philippines national team. The girls had such a wonderful time there. The PHI national team and coach were superb hosts. The atmosphere of the arena was even reminiscent of WFC. Major kudos! to the KBFF organising committee for making the first team overseas trip smooth and memorable! KBfaf! In the midst of all this, preparation for the Singapore Community Games (SCG) Floorball Sequel on 13 May got into full swing mode. KBFF volunteered to co-organise this with the guidance of the friendly folks from PA Community Sports. It was the first time floorball would be featured at the SCG and the stringent registration criteria (you gotta be neighbours to form a team) was daunting. Despite initial doubts about whether the games could go on, floorball proved its popularity with more than 40 teams participating! Represent! Our KB kids got to form teams for the U12 Mixed Open that day too. We are very proud of them! 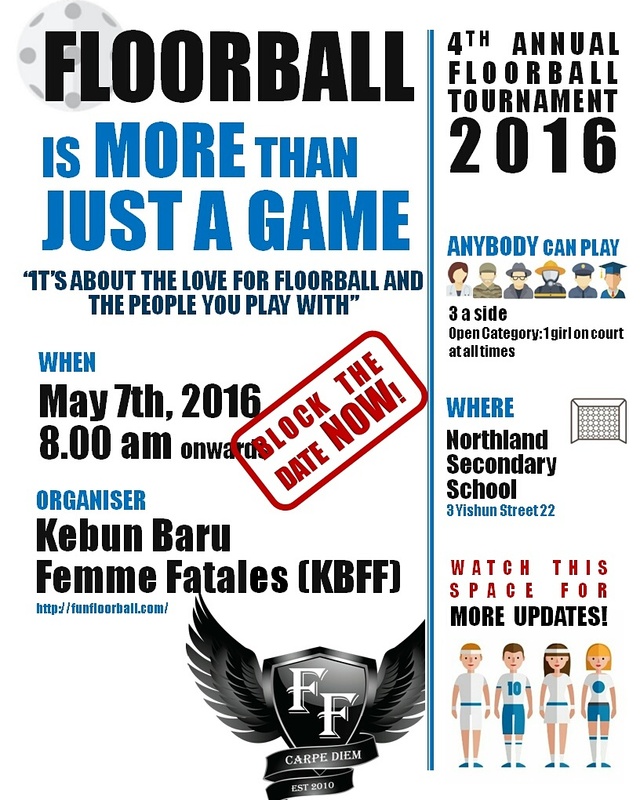 The 4th Annual KBFF Fun Floorball Tournament is back on 7 May 2016. Do join us for good things starting with F- Floorball, Fun, Friendly Faces and Food. See you there! Author funfloorballPosted on April 2, 2016 April 2, 2016 Categories Floorball-Related FunTags floorball, floorballsg, kbffdolphins, kbffians, kbfforcasLeave a comment on Play! As anticipated, the game against NUS Jupitans was a closely fought game. It was awful for us to concede 2 goals in the first period through a penalty and one that trickled in over my head. However, the girls kept their nerve and we made it by the skin of our teeth. Since it was the final match of 2013 and our forward, Aza, was leaving us for her girlfriend (hehe), we had our Christmas gift exchange early led by Nab! 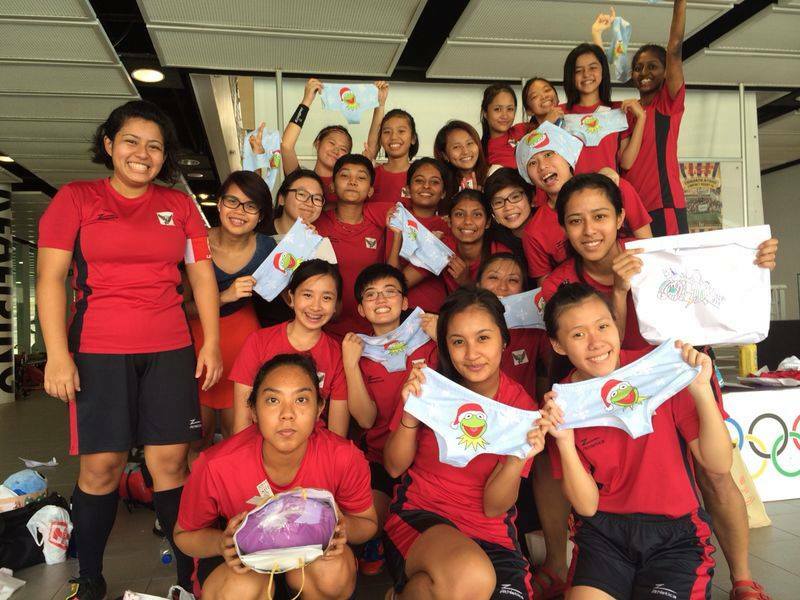 Sticking to tradition, our captain gave us something extra- matching underwear!